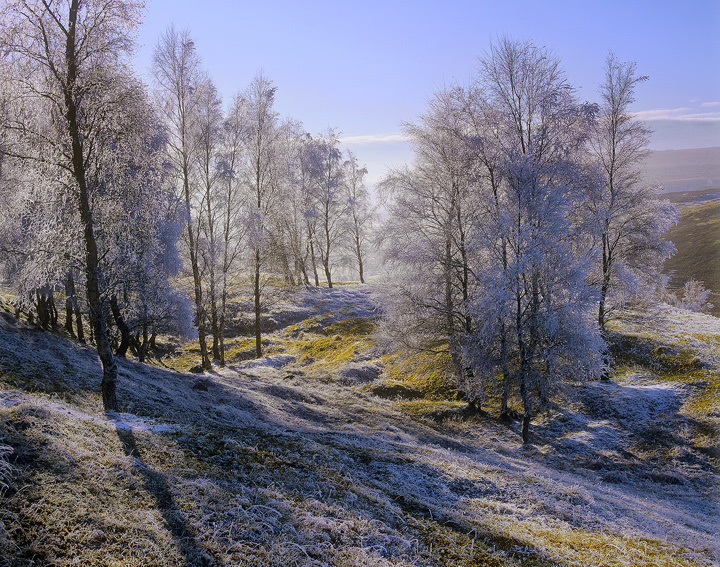 A sparse birch copse on the edge of the Dava moor with a fine filligree of wispy branches and twiggery has an amazing ability to collect and distill freezing mist and form hard crystalline hoar frost on every tiny surface. The trees are literally transformed into white ghost trees glittering in hard morning sunlight. They are most attractive when backlit as in this scene but managing the light is very difficult.